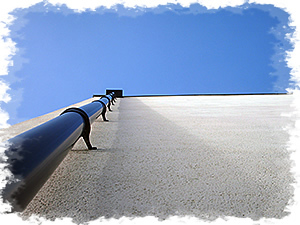 From small private houses to larger properties, I provide competitive pricing for high quality guttering work. 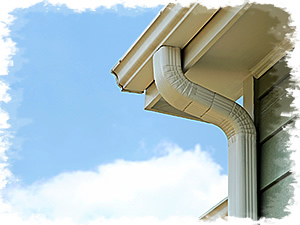 I can maintain or replace all types of guttering and drain pipes. No job is too small. I have been working with guttering for many years and during this time I have developed an expertise in how to ensure water is efficiently drained from all kinds of property. Gutters and drainpipes require maintenance from time to time, and whether yours need cleaning out, repairing, or realigning for efficient operation, with my experience I will be able to identify and repair the problem for you. Alternatively, if you have a property where all or some of your guttering needs completely replacing, I can supply and fit the latest uPVC designs or guttering in any style to suit your property. My service extends to the repair and replacement of soffits and fascias where required. UPVC soffits and fascias are an ideal choice if you’re looking a maintenance free to solution to replace rotting weather boards. They are strong, durable, weatherproof and resistant to pollution and wildlife. If your guttering isn’t performing as it should do, or if you think it may need cleaning, repairing or even completely renewing, please contact me today for friendly advice and a free estimate. © Stuart Smith Roofing and guttering services covering Richmond, Twickenham, Teddington, Sheen, Kingston and Barnes.